"Getting Started: Practical Strategies for Character Formation in the Classroom"
Ian Gravagne (Ph.D., Clemson University) is associate professor of electrical and computer engineering at Baylor University. His research interests include energy system modeling (with a special interest in solar energy), distributed control systems, robotics and swarm intelligence. Though varied, they are tied together through the common theme of mathematical modeling of dynamical systems. He was also founding faculty master for Teal Residential College, establishing there the structure for a robust Christian community that fosters intellectual, spiritual, and moral formation among the students. "Teaching, Practical Wisdom, and the Cultivation of Character"
Mark Schwehn (Ph.D., Stanford University) is one of the leading voices in Christian higher education. He is currently Professor of Humanities in Christ College at Valparaiso University, having previously served as Provost from 2009 to 2014. He is also founding director of the Lilly Fellows Program in Humanities and the Arts, a national network of one-hundred institutions seeking to explore and strengthen the relationship between Christianity, higher education, and academic vocation. His publications include Exiles from Eden: Religion and the Academic Vocation in America (Oxford, 1993) and Everyone a Teacher (Notre Dame, 2000). "Virtue: An End and a Means in Your Classroom"
Mitch Neubert is the Chavanne Chair of Christian Ethics in Business and professor of management at Baylor. His research interests are focused on understanding how leadership, teams, and change processes affect the performance of people and organizations. He also is interested in how faith intersects with these research interests. Neubert is the primary investigator on a National Science Foundation grant exploring the relationship between religion and entrepreneurship. His essays have appeared in numerous journals including Personnel Psychology, Journal of Applied Psychology, Leadership Quarterly, Christian Scholars Review, Human Relations, and Review of Religious Research. 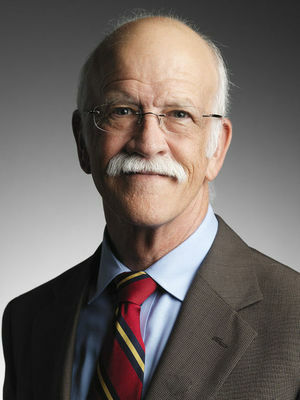 He also is the author of two textbooks and teaches in Baylor’s undergraduate, MBA, and Executive MBA programs. He received the Hanakamer School of Business’ Distinguished Professor Award in 2016 and its Teaching Excellence Award in 2013. "Friendships as a Foundation for Learning"
Paul Wadell is professor of theology and religious studies at St. Norbert College in De Pere, Wisconsin. A specialist on the ethics of St. Thomas Aquinas, his work additionally focuses on friendship, the role of the virtues in the moral life, theology and literature, and the mission of the church in contemporary society. He serves on the advisory council of the Network for Vocation in Undergraduate Education (NetVUE) administered by the Council for Independent Colleges. He is the author of seven books, including Friendship and the Moral Life (1989), The Primacy of Love: An Introduction to the Ethics of Thomas Aquinas (1992), Becoming Friends: Worship, Justice, and the Practice of Christian Friendship (2002), and Happiness and the Christian Moral Life: An Introduction to Christian Ethics (2007). Candace Vogler is David B. and Clara E. Stern Professor of Philosophy at the University of Chicago. From 2000–2007, she served as co-director of the Master of Arts Program in the Humanities. Her research interests include virtue ethics, social and political philosophy, cultural studies, and philosophy and literature. In 2015, she received a major Templeton Foundation grant for her project, "Virtue, Happiness, and the Meaning of Life." The project brings together philosophers, social scientists, and religious thinkers to examine the role of self-transcendence and self-transcendent goods in meaningful lives. Her books include John Stuart Mill's Deliberative Landscape: An Essay in Moral Psychology (2001), a co-edited volume The Critical Limits of Embodiment: Reflections on Disability Criticism (2001), and Reasonably Vicious (2002). She presently is writing a book on the philosophy of G.E.M. Anscombe. "Cultivating Perseverance and Productive Struggle in an Age of Shortcuts"
Francis Su is Benediktsson-Karwa Professor of Mathematics at Harvey Mudd College. He is the outgoing president of the Mathematical Association of America. His research is in geometric combinatorics and applications to the social sciences, and he has co-authored numerous papers with undergraduates. He has received multiple National Science Foundation research grants for his work. He also has a passion for teaching and popularizing mathematics. From the Mathematical Association of America, he received the 2001 Hasse Prize for expository writing and the 2004 Alder Award and the 2013 Haimo Award for distinguished teaching. He authors the popular Math Fun Facts website and iPhone app. Andrew R. Meyer, Ph.D. is an Assistant Professor in Sport Foundations at Baylor University. His research areas of interest include contemporary American sport, sport culture and religion, muscular Christianity, as well as endurance athletes and spiritual experiences. 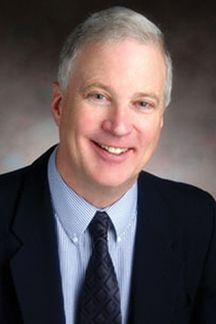 He teaches a number of courses, including “Sport Psychology” and “Religion and Sport.” Recent publications include “Doing Good with My Body: Physical Philanthropy through Physically Active Participation in Charity Sport Events” with M. R. Umstattd Meyer (2017) in The International Journal of Sport and Society 8(1); and “How Can We Help? The Role of the Church and other Religious Organizations When the Games Come to Town” with J. B. White (2016) in Practical Theology (3). Dr. Meyer is a 2017-2018 Baylor Fellow in the Academy of Teaching and Learning. "What We've Done: Stories of Forming Character in the Classroom"
Brook Blevins, Ph.D., is an Associate Professor of Social Studies Education, Associate Chair of the Department of Curriculum and Instruction, and Coordinator of the Secondary Social Studies Education program at Baylor. Dr. Blevins teaches both undergraduate and graduate courses in secondary education, social studies education, and multicultural education. Dr. Blevins also serves as the co-director for the iEngage Summer Civics Institute, for which she and co-founder Dr. Karon LeCompte have raised more than $200,000 in grant funding. Dr. Blevins’ research focuses on social studies education as a means to prepare active and engaged citizens. Dr. Blevins's work has been published in journals such as Theory and Research in Social Education, Social Studies Research and Practice, The Social Studies, Multicultural Perspectives, The Teacher Educator, and the International Journal of Social Studies Research. She is a member of the Social Studies Inquiry Research Collaborative (SSIRC), which examines the impact of authentic intellectual work in social studies classrooms. Dr. Blevins also serves as the media and book review editor for Theory and Research in Social Education. Dr. Blevins is a 2017-2018 Baylor Fellow in the Academy for Teaching and Learning. Horace Maxile, Jr., Associate Professor of Music Theory, holds the Ph.D. in Musicology (Music Theory emphasis) from Louisiana State University. He also completed studies at Louisiana Tech University (BS Music Education) and Southeastern Louisiana University (MM). Prior to his appointment at Baylor, he taught at The University of North Carolina at Asheville and served as Associate Director of Research at the Center for Black Music Research (Columbia College Chicago). His research interests include the concert music of African-American composers, gospel music, and musical semiotics. Among his publications are articles in Perspectives of New Music, The Annual Review of Jazz Studies, Black Music Research Journal, Journal for the Society of American Music, and American Music. He was Associate Editor of the Encyclopedia of African-American Music(Greenwood Press, 2011). He has served as Editor of the Black Music Research Journal, chair of the Society for Music Theory Committee on Diversity, and as a member of the American Musicological Society Council. Dr. Maxile is a 2017-2018 Baylor Fellow in the Academy for Teaching and Learning. Jason Baehr is Professor of Philosophy at Loyola Marymount University, Los Angeles, and author of The Inquiring Mind: On Intellectual Virtues and Virtue Epistemology (2011, Oxford University Press). He recently directed the Intellectual Virtues and Education Project, which involved the application of virtue epistemology to educational theory and practice. In connection with this project, he helped found the Intellectual Virtues Academy of Long Beach, a new charter middle school in Long Beach, CA. "Open But Not Empty: What Makes Hospitality Possible"
Elizabeth Newman is the Eula Mae and John Baugh Professor of Theology and Ethics and director of the Master of Theological Studies Program at Baptist Theological Seminary(BTSR) at Richmond. She earned a B.A. from Wake Forest University, an M.Div. from Southern Baptist Theological Seminary, and a Ph.D., from Duke University. 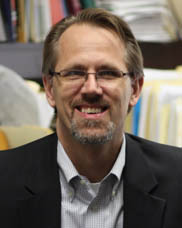 Professor Newman joined the faculty of BTSR in 2002 after serving on the faculty at Saint Mary’s College, Notre Dame, Indiana, for twelve years. She is the author of Untamed Hospitality: Welcoming God and Other Strangers (Brazos Press, 2007); Attending the Wounds on Christ’s Body: Teresa’s Scriptural Vision (Cascade Books, 2012); and Divine Abundance: Leisure, the Basis of Academic Culture (forthcoming). She currently serves as co-chair for the Baptist World Alliance Commission on Doctrine and Christian Unity and as a representative in Baptist World Alliance Conversations with the Pontifical Council for Christian Unity (2017-2022). She is active as youth leader, VBS Director and pianist at Epworth UMC, where her husband pastors.